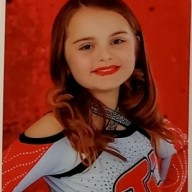 Discussion in 'Allstar Cheerleading' started by MadAboutCheer127, Dec 12, 2018. Mom2Cheergirls There are Cheeropedia articles about me! There needs to be a separate parent organization. Some gyms are joining together regard to this. We parents are allowing our power (the power of the purse to drain away). Our voice needs to be organized and heard. Stay to play used to provide decent discounts not seeing that so much anymore and in some cases all hotels close by cost an arm and a leg ( far ones require uber or cast rentals/parking fees). Prices at gyms keep going up and up. Competition costs for athletes and spectators on the rise. I understand the group of gyms that are working together are presenting some of these issues but as the consumer and parent of the "commodity" the athletes I feel our voice is not heard to the level it should be. Um. So how were you supposed to know when your child was on if no schedule and no announcement? Just rely on coach to tell you (from his/her schedule) and hope the comp is running on time/running in order? Yep. And actually, the comp was not running on time/in order. I really had no clue when my child was competing. I just sat and watched the whole thing. In regards to points number 1 and 3 here, this industry is going to eventually price itself out of business. This was a problem that began when every competition became a "NATIONAL CHAMPIONSHIP." It's one thing to have multiple organizations claiming their own "national champions" (however, this is bad enough in it's own right...despite the fact that it happens in every youth activity at all levels). It's another thing for virtually every competition company to claim 5-7 national championship events every season. At best, these BS competitions are a regional event. They are becoming more and more of a regional event every year as gym owners and parents are clamoring to save money. Eventually something will have to give. How are you going to force STP when the majority of teams are traveling less than 100 miles to the event? They have no reason to stay in a hotel unless they are performing at the booty crack of dawn or near the middle of the night. In regard to point 2: In today's world of (quote Men in Black) "unlimited technology from throughout the universe." It is unfathomable that scores cannot be reviewed within a matter of seconds, scored accordingly, adjusted for "arena variances" (whatever that means), AND PUBLICIZED RAPIDLY. The bottom line is that no one in this industry wants to be held accountable. EP's do not want to be held accountable for having well-trained judges who score consistently/similarly from division to division. Choreographers do not want to be held accountable when gym owners/coaches come to them and ask why their material didn't score well. Gym owners/coaches do not want to be held accountable when their coaching techniques do not produce the desired results. Parents do not want to be held accountable when they lose their minds on all of the above with their limited knowledge of how things really work. Where there is no accountability, prices can rise and money can be made with no regard to quality. I wholeheartedly agree concerning all of the "National" Championships. Ultimately, gym owners control how much travel they require of their teams and how many "National" Championships they are required to attend. Again, I will suggest the book "Convention Center Follies" it explains why these convention centers and sport parks are built (tourism) and how they use hotel stays as their gauge of success. So, to answer your question, "How are they going to force STP when the majority of teams are traveling less than 100 miles to the event?" Cheersport Nationals is having to require STP if your teams are traveling more than 60 miles away, these facilities require a certain amount of hotel stays to determine pricing. These government owned facility managers will enforce these hotel stays by either getting the amount of hotel bookings they want, or raising the price of the venue, offering alternative dates, or just giving it to some other business. On scoring, we will have to agree to disagree. There is no way to get precision judging when you have different judge panels in different arenas that are scoring multiple athletes, multiple teams, with various mental snapshots of the routine, in 18 categories and within .1 accuracy. These scores are judge averages, not every judge produces the same number. Close, "yes", exact, "no." Technology or not, even some ball sports allow replays watching one athlete, let alone 36....Rams and Saints lack of call the other night? Accountability in my book is accuracy with rankings and bids, not the speed a number is cranked out. I like to hear the scores as much as the next person, but that number literally means nothing without explanation. There's a reason coaches receive score sheets by category with explanations instead of a piece of paper with just a score total on it. As far as your definition of accountability, there are varying levels of quality in most everything, as well as resource and monetary limitations. The way to hold anyone accountable is to define your expectations, if they don't meet those expectations, don't reward them with your business. Gym owners decide what events to attend, some gym owners don't want scores released... it sounds like some gym owners are holding EP's accountable. At a comp this weekend, no online schedule, no printed schedule (only given to coaches) and the announcer did not say 'On deck, in the hole" They basically just announced, "now here is xyz team". It was very difficult to follow. CP's first comp was like that this year. They put up one schedule right by the entrance. I got pictures when there was no line going in. ETA: This wasn't a Varsity owned EP either, so the issue is not just with them. I would have been OK with that. At this comp there were literally no posted schedules. We were told to get our performance times from our coaches. I am happy that we don't have any more comps with this particular brand for the rest of the season. That would have seriously scarred my OCD personality. I don't know how you managed! I tend to agree with you all, but I will give my business speculations as to why this might happen. When we began cheer we were told to be there, flying or driving, the Friday before a comp and if you were flying, you had to leave on Monday, because the schedule came out the week of the comp. Problem #1, when schedules are provided, and with the hotels getting more expensive, people aren't going to pay for hotels stays they don't need. Logical. However, when your company depends on a certain number of hotel stays with STP to get a venue on the dates they want, that's a problem. #2 People get married to schedules. In a sport where there are very few alternates, coaches and EP's need parents to be flexible. If it's stated that awards are going to be at 3:30 PM and some parents book the 8:00 PM non-refundable flight out to avoid another hotel stay, there's no room to be flexible with injuries, stage clean ups, etc. Releasing scores and awarding bids based on those scores when there are multiple arena's....this one I saw coming. You can't have multiple arena's and expect precision judging when you have 18 scored categories and it only takes a .1 in each of those categories to make a huge difference. That forces the judges to then look at the day 1 scores and compare by arena and re-adjust scoring for day 2 to make sure the scores are in line for bids. Cue all of the videos and people asking, "Why did their score drop 1.0 pt when they had a better performance day 2, than day 1?" Um, because J3 hit a better routine in Arena 1, but scored .6 lower than their S3 in Arena 2. Cheer is unlike any other sport when it comes to number of arenas and number of athletes being compared and releasing scores makes it absolutely no more transparent. "Olympic ice skating" ...enough said. Cost. There are ways to fix some of these things, but it would require events lasting much longer than 10:00 PM. Cue the, "just take less teams".....okay, the price just went up to $45 for admission and $180 per athlete and now they may not have enough hotel stays to get the venue contract next year. Again, just speculation, but I can see these things being issues from a business perspective. ???? I never said anything about cost or ease of releasing scores in my comment above. My comment has to do with bid declarations being awarded by score and EP's probably wanting to make sure that scoring is consistent across arenas with different judge panels. However, since you replied, drama absolutely, because a cheer score without explanation is just a number. Coaches receive the score sheets that have the scores by category and the judge explanations/comments. Doesn't it make more sense for the coach to discuss scores that actually are broken down and have explanations versus a number being released to the public that tells us literally nothing? A released score provides no more transparency than a ranking. See also: the announcer calling the wrong team for second place and awarding the wrong team first place at whatever major competition that was last year. If scores go up with those names on some kind of video board, everyone realizes he’s made a mistake at that moment. Human error will happen either way and that error was recognized by the EP and coaches without posting scores. People just wanted immediate resolution and those coaches absolutely deserved the time to look at the score sheets and talk to their kids before caring what the fans thought. It also should be noted that had nothing to do with judging and everything to do with the person announcing the winner. Currently coaches receive the scores sheets and are able to dispute their score if they feel an error was made. Does that go by the wayside? Or, do we just get that above level of drama every time a score is disputed? I don't feel the need to see scores at the comp. But I do like for them to be released eventually. I like to see how close the scores within the division are. I also like to see which team at CP's gym is scoring the highest. I like to see if CP's team scores fairly consistently between comps. More importantly, we went to a comp last year where the announced placements absolutely did not match the posted scores. That's a huge deal to the teams involved. Posting scores leads to at least some level of accountability.